There is nothing that will make you want to swap that Pizza Pop for a chunk of plain chicken breast and a gym membership more than scrolling through photos of rock-hard abs and biceps bigger than your head. The best place to do this? Instagram, of course! 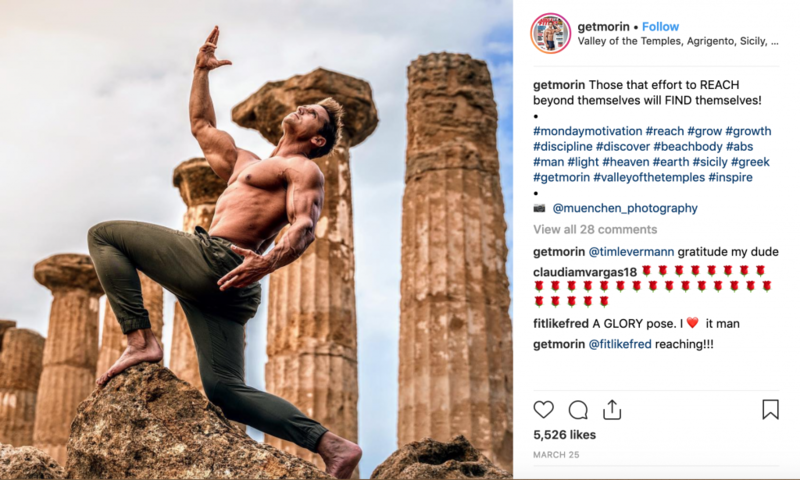 That’s why we compiled a list of our top 10 fitness Instagram accounts for men (in no particular order). 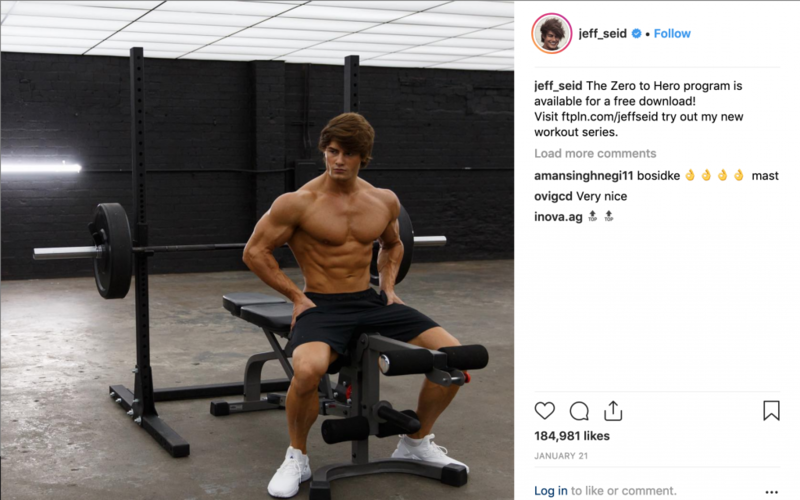 In a Nutshell: Jeff Seid is a young IFBB Pro who is taking the weightlifting world by storm. Lots of candid shots of Jeff in the gym, traveling the world with his entourage, and motivational fitness inspiration that will have you on your way to the gym quicker than a bat out of hell. Train with Jeff Seid on Fitplan. Start your 7-day free trial. 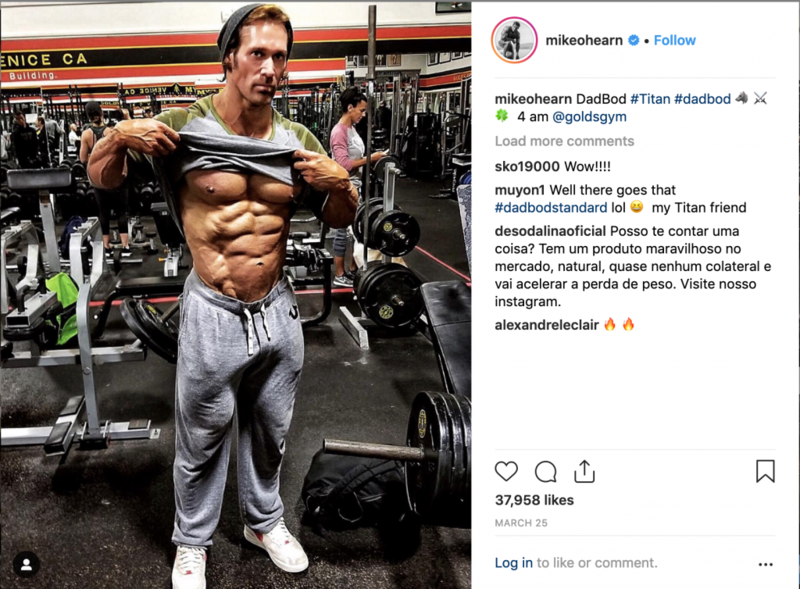 In a Nutshell: Legendary bodybuilder and four-time Mr. Universe Mike O’Hearn has had a titanic career spanning over 40 years. So titanic, in fact, that he’s known to his millions of followers as The Titan. Following Mike means tons of wisdom and golden nuggets of knowledge, both in the fitness realm and general being-good-at-life realm. Mike turned 50 this year and is bigger and fitter than the vast majority of men in their 20s, and if that doesn’t motivate you, you might be a lost cause. Bonus: he posts entertaining ’90s throwbacks and photos of his beautiful dogs. Train with Mike O’Hearn on Fitplan. Start your 7-day free trial. In a Nutshell: This Norwegian Navy Lieutenant is into CrossFit style training and regularly shares progress photos to keep his followers motivated. 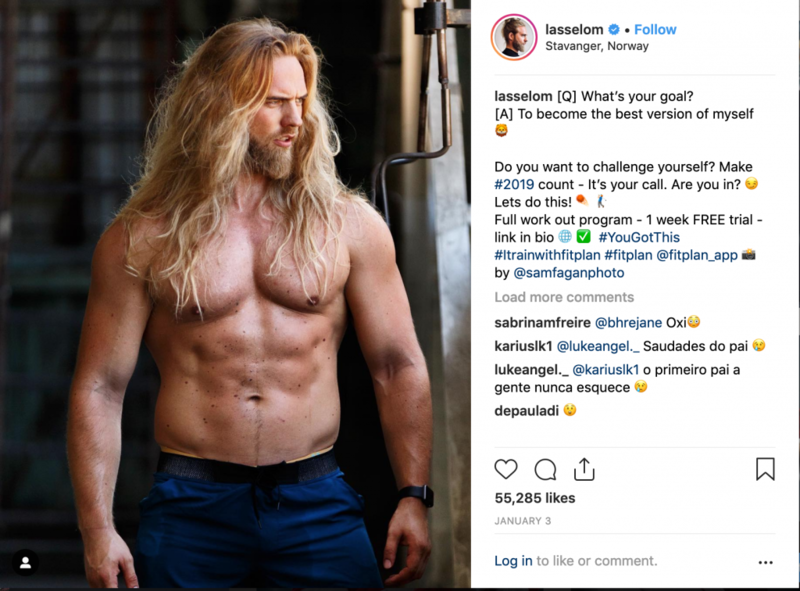 At 6’6″ with an epic mane and beard, Lasse looks like a cast member on Game of Thrones, specifically one who could crush your skull with his bare hands. Follow him for military-grade inspiration and incredible photos of fjords. Train with Lasse Matberg on Fitplan. Start your 7-day free trial. 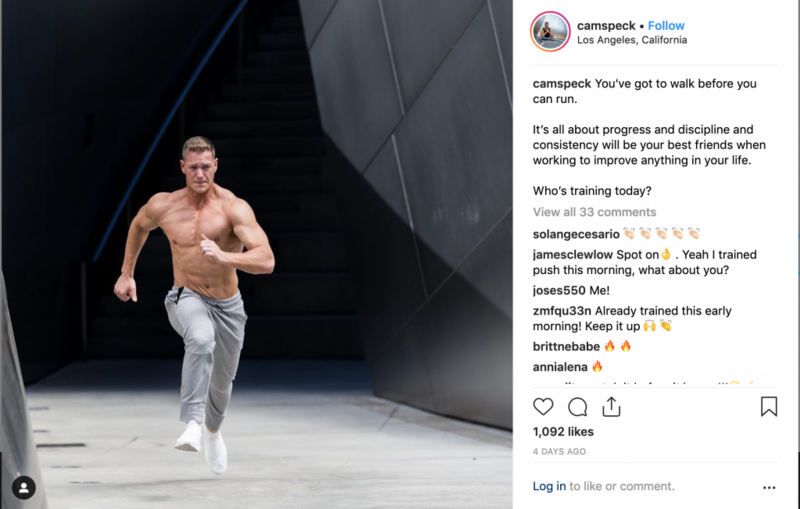 In a Nutshell: Cam Speck is the president and co-founder of Fitplan who practices what he preaches when it comes to fitness, nutrition, discipline, mindfulness and just being an all-around decent guy. Follow Cam for daily inspiration and angles so sharp they could slice through a diamond. Train with Cam Speck on Fitplan. Start your 7-day free trial. 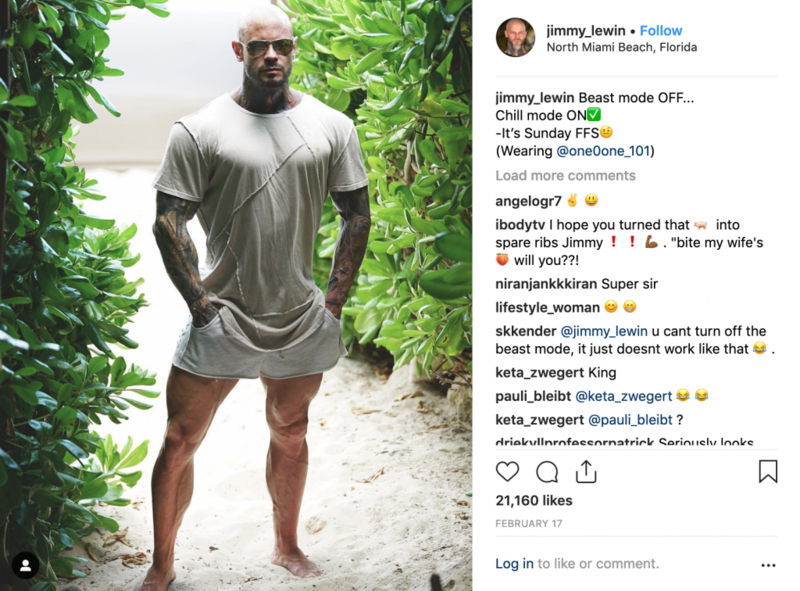 In a Nutshell: Jimmy Lewin is a shredded, tatted trainer who’s married to fitness bombshell Michelle Lewin; in other words, he’s got it all. Following him means heavy arm and quad envy, and you might consider biting the bullet on that tattoo you’ve been mulling over for years. Jimmy also doesn’t take life too seriously, so you’ll get regular doses of comedy with your #quadgoals content. Train with Jimmy Lewin on Fitplan. Start your 7-day free trial. In a Nutshell: David Morin is a fitness model who’s been featured on many muscle mag covers. He is also a self proclaimed “fit dad” for all you dads (or one-day-maybe dads out there). Follow David for solid fitness advice, epic travel photos and a good selection of intermittent fasting content —that’s his MO. Train with David Morin on Fitplan. Start your free 7-day trial. In a Nutshell: Scott Mathison can fly. The spring in this guy’s step is insane, and his parkour posts are proof. 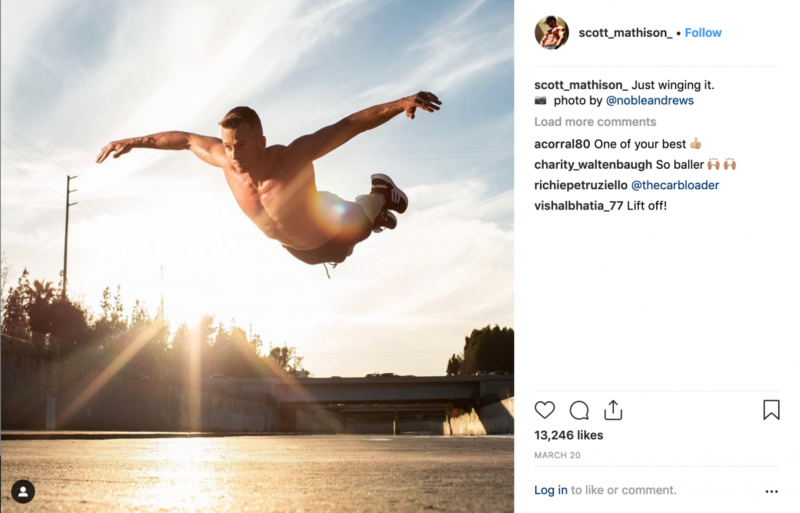 Follow Scott for impressive parkour content and shredded abs that’ll have you passing right by that fast food joint. Train with Scott Mathison on Fitplan. Start your 7-day free trial. 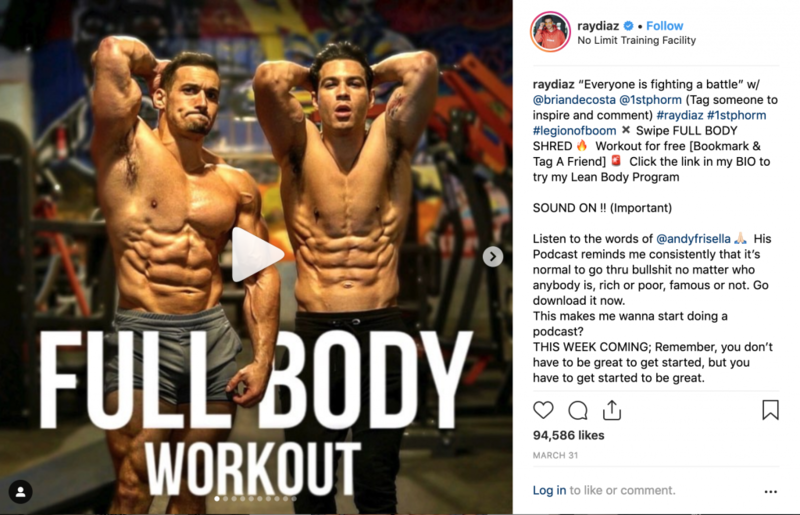 In a Nutshell: Fitness influencer Ray Diaz’s abs cut as deep as his jokes. The actor/comedian with a lean physique posts fun and challenging workouts, along with comedic skits featuring his crew of fit-minded friends. If you like a good mix of humor with your workout content, follow Ray. Train with Ray Diaz on Fitplan. Start your free 7-day trial. 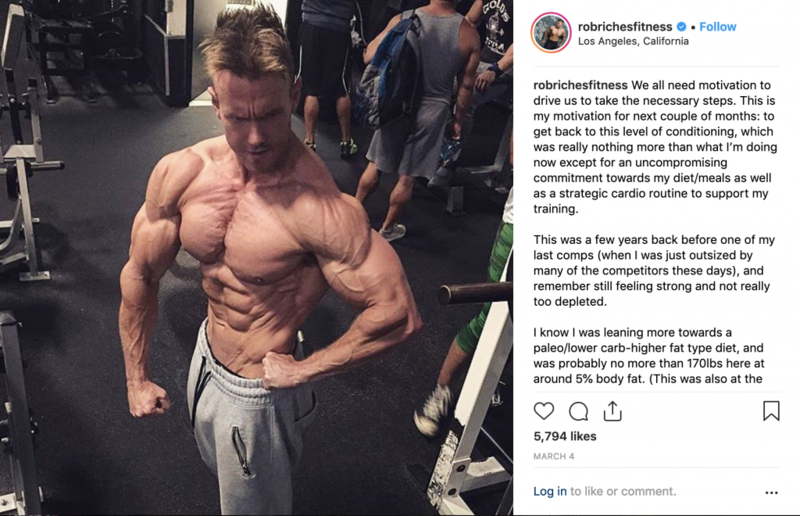 In a Nutshell: Trainer Rob Riches has a ton of experience under his belt and drops straightforward truth bombs on his feed. He’s all about fitness being a marathon, not a sprint. Follow Rob if you’re just getting your feet wet in the fitness world and need inspiration to hit the gym. Train with Rob Riches on Fitplan. Start your free 7-day trial. 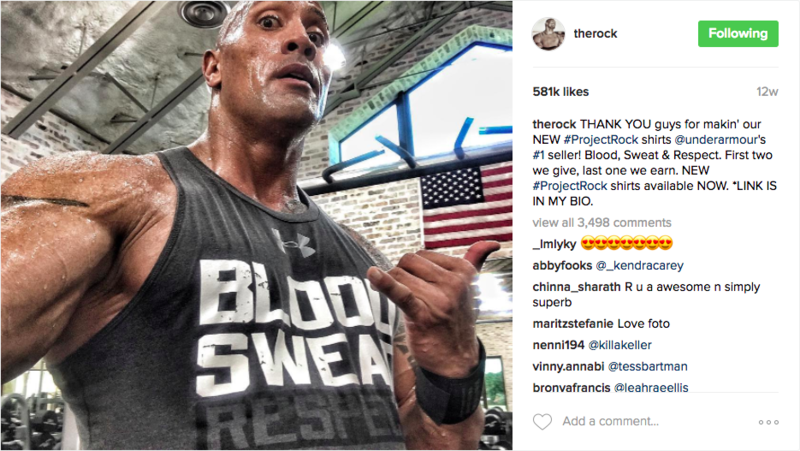 In a Nutshell: You can’t make a Top 10 Fitness Instagrams for Men post without including The Rock . The WWE wrestler turned major Hollywood actor has become a household name. What you can expect from following Dwayne on Instagram is mostly just photos of the man flexing his massive guns, but really, what could motivate you and those string bean arms of yours more? 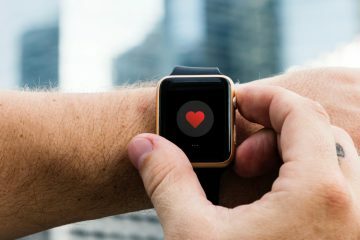 Fitness Trackers Infographic: Which One Is Right For You?